What is temporary van insurance and why might I need it? Temporary cover is a short term, comprehensive insurance policy to protect you and your van for between 1 and 28 days. How does short term cover work? 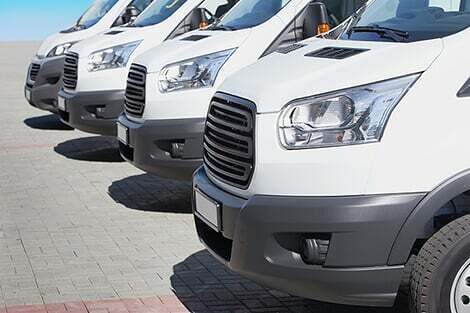 With the vehicle owner’s permission, you can quickly and easily get comprehensive protection to drive your van from the moment you’ve bought or borrowed it. Just click the ‘Get a quote’ button above, and you’ll be redirected to our associates, tempcover.com, who in a few clicks will be able to offer you their best short term van insurance quote. What does short term van cover offer? Confused.com's temporary cover solution is provided by Tempcover Ltd who are authorised and regulated by the Financial Conduct Authority under firm reference number 746985. Tempcover Ltd is registered in England No. 09923259 at office: Fyfe House, St James Road, Fleet, Hampshire, GU51 3QH. We are an intermediary and we receive commission from Tempcover Ltd, which is a flat rate fee plus a proportion of commission that Tempcover Ltd receive from the insurers if you decide to purchase through our website.